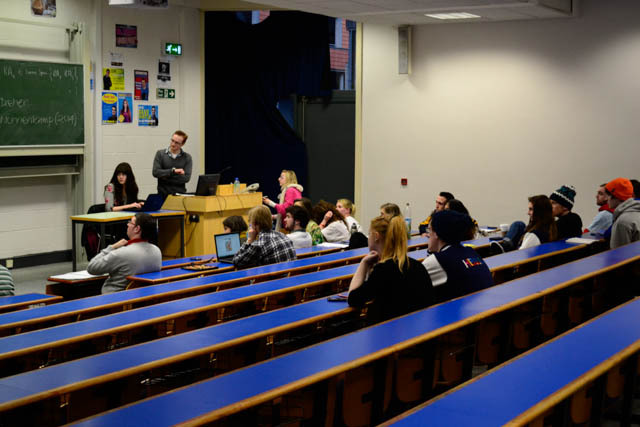 Voting on important motions is being delayed after the last two Class Rep Council meetings failed to take place due to poor attendance. Last Monday’s CRC was cancelled because quorum could not be reached. In order to make quorum, ten per cent of registered class representatives must attend. He also added that just because students are “not coming to CRC doesn’t mean they’re not a good class rep”. He said it was a concern that important motions are not being dealt with and deferred to the next CRC meeting. Motions that have been deferred include a vote to support a boycott and sanctions on Israel, a vote to make the council “more in touch” and for the SU to undertake a sustainability ethos. Former CRC Chair and Class Rep, Seán Cassidy is “not one bit happy” about the delaying of important motions. “This shouldn’t be happening. But Class Reps need to be reassured that the reason meetings have gone over time is because we have had very serious issues to discuss such as the repeat USI referendum,” he said.